Homeowners who are looking to vamp up their home should know adding a conservatory can up the value of their property, according to idealproperty.co.uk. Stephen Dyer, managing director at idealproperty.co.uk, explained that so long as they are appropriately built to reflect the character of the home, conservatories are a welcome additional. They also create more space in the home, as does relocating excess items from the home into a self storage unit. "If they are of sufficient quality, carefully planned and properly funded and well constructed they [conservatories] can add significant value," said Mr Dyer. "They should blend in and be part of the main property, not a room that's too cold in the winter or too hot in the summer." He stressed that good planning is needed to ensure the ultimate outcome of a conservatory is positive to the home's character. If your living room has a wooden floor, adding this type of floor covering in the conservatory too will give this new room a more integrated feel. Wood-Engineered boards are highly suitable to be installed here, due to their construction they can tackle changes in temperature and humidity much better than solid floor boards. By some called the "Rolls Royce" among the multi-layered wood-engineered floors. Duoplank, produced in Europe from European Oak, 6mm top layer on 14mm water-resistant-plywood (birch) and one of the few, if not the only one, tested by TNO on UFH (on shrinkage and delaminating). Came through the tests with flying colours and therefore guaranteed on UFH - as long, of course, you treat your UFH system according to the instructions. Solidfloor (TM) has definitely a floor for every taste, style and circumstances. SAICOS COLOUR WAX CLASSIC is available colourless as well as in the natural shades of the most frequently used wood species - plus some differing colour shades which - with also one coat only - will make the treated wood look like “naturally grown coloured“. This offers a great variety of designs, not only for furniture and panellings, but also for wooden floors. The colourshade White is available “transparent“ and “opaque“. Drying approx. 8 hrs (depending on temperature and air humidity). Dust-dry after approx. 4 hrs. For all hard and precious woods COLOUR WAX EXTRA THIN is recommended for easier penetration. For panellings on walls and ceilings one coat will normally be sufficient (except opaque white = 2 coats). The satin mat surface can be polished for a more satin sheen after drying. If for coloured treatments a deeper (semi opaque) colour shade is desired, apply a second coat after drying. Transparent colours will be particularly even and beautful if applied over a ground coat of COLOUR WAX CLEAR EXTRA THIN. Saicos Colour Wax is produced in accordance with the latest scientific researches regarding the best treatment of wood. It is a professional and easy-care natural wax finish for all interior wood, environmentally friendly and complying with the natural demands of wood. It is based on natural raw materials, is moisture regulating and allows the wood to breathe (like the human skin). The wood retains its natural beauty. Special (one-off) offer on the minimalistic Oak Nature, oiled natural 15/4 Wood-Engineered floorboards. Suits any interior with soft tones and elegance. The quality floor has hardly any knots, comes with T&G and is pre-finished with natural oil to bring out the Oak's character as honest as possible. 28 packs a 2.075 sq m (58.10 sq m) available for the special price of £ 43.35 ex VAT = 10% discount on normal price of £ 48.13 ex VAT. (minimum order = 4 packs, or the whole lot for £ 3,000.00 including VAT, excluding possible delivery charges - Kent is FREE delivery). Main reason for this very special and one-off offer: large order canceled at last moment, we need the space it is taking up now in our storage facility for other orders coming in asap. Call 01233 - 713725 now to place your order and arrange delivery (or collection). The letting market is getting stronger month by month. More and more "first-time" buyers are failing to get on the first rang of the property ladder - for various reasons (bank squeezes on mortgages, decline in new builds etc). This however does not mean "reluctant" tenants will accept any type of rental home, so landlords should be aware of the new trend: tenants demanding extras and "snapping-up" rental homes which offer just that. People entering into the rental market are looking for specific details in the properties they choose to live in. James Davis, chief executive of Upad.co.uk, explained the letting agent has seen a large rise in the number of people seeking to rent, with almost twice the number recorded during March as in the previous month. "Tenants are being more fussy and particular about where they want to live; they [may] want a property which has Wi-Fi or a garden or off-street parking," Mr Davis explained. He added that landlords need to respond to these demands in order to attract people to rent their properties. One item that always has a high appeal is wooden floor covering, not just because it is long lasting (meaning a proper ROI for you as landlord) and easy to maintain. Natural wooden flooring is one of the most anti-allergic floor coverings you can add to your property. Since more and more people are aware of this health benefit wooden flooring gives them, a property that has wooden flooring in most rooms (including bedrooms) attracts a higher rent. Some tenants are just not careful enough with property belonging to someone else - a known fact. Another known fact is that dirty surfaces attract more dirt, or in other words: once a carpet looks worn, slightly damaged and dirty nobody is really going to care if it gets even dirtier or more damaged. However, a floor covering that always looks clean and from which spillages are easily removed tend to bring out the feeling of "ownership". Your tenants will take better care of "their" lovely wooden floor than they will with a carpet. So no more need to replace the carpets every year, saving you a rather lot of money, grievance and aggravation in one simple go. from Oak Rustic and Nature to American Oak in various colours to Walnut Prime and Rustic. Read here if and why your property can profit from the 10/3 range of wood-engineered pre-oiled floorboards. Your neighbouring landlord could already have installed quality wooden floors and find tenants willing to pay for the pleasure of having a beautiful floor covering in "their home" quicker. Homeowners are frequently becoming more relaxed about the styles of furniture and accessories they have in their homes, according to one designer. There is a growing trend for householders to take a mix and match approach to how they decorate their property, Adrienne Chinn has explained. Ms Chinn, who owns her own interior design company, has stated that things like mismatched crockery are becoming trendy as people search for shabby-chic designs, with retro furniture also becoming more popular. "The benefit of living in this century is that we can cherry pick from previous centuries and previous times," she said. A recent report from Debenhams stated that British consumers are increasingly looking for quirky items to decorate their homes, as the department store noted people are buying plates that do not co-ordinate in shape or colour. Relaxed home interior does need an uncomplicated "foundation". One of the reasons the 15/4 Wood-Engineered Oak Rustic brushed & oiled natural floor (Seattle) has become the most popular choice for home owners. With it's 4mm Solid Oak toplayer and quality T&G construction it is both practical, easy to maintain - pre-oiled, and even suitable on UnderFloor Heating systems. The long planks (1.83 meter) guarantees a relaxed feeling, while the simple natural finish blends in with any fixtures and furnishings you have gathered together. Call us now on 01233 - 713725 to discuss the sq meters you need to complete your relaxed home interior with high quality, long lasting and durable Seattle. Retro furnishing features are "in"
Wallpapers with retro designs have been named as a rising trend for homeowners redecorating their homes. Paper printed in bold, repeating styles that were popular during the 1950s was stated by Kayleigh Hollobone, customer adviser at Wallpaper.co.uk, to be one of the most popular looks emerging for this year. Some are even seeking ways of matching their walls with upholstery and fabric coverings. "Instead of wallpapering the whole room, they're wallpapering one wall with a really strong pattern and they usually want curtains to match," Ms Hollobone said. Using recycled furniture could also be a fashion householders wish to try, after it was recently advocated by interior designer and TV presenter Linda Barker. People making big or small changes to their home decor could find that solid wooden mosaic or herringbone floors have turned trendy again too. "Mini" herringbone combine the two retro trends: mosaic style tiles in double (or triple) herringbone pattern. Cal us today on 01233 - 713725 for prices, lead-times and available styles/patterns and wood-species. People planning on renovating their kitchens in the coming months could decide to make the space more than just functional. Anita Kaushal, an author and interior designer, has explained how the this room is becoming increasingly a function for different purposes in years to come. She explained that many are seeing the space available to them also in the bathroom and putting up book shelves or adding decorations that would not traditionally belong in the room, like a chandelier. Kitchens are also seeing a makeover, as they are being utilised as a place where people can socialise. "It used to be the living room, but [now that's moved to] the kitchen island. You can buy these diddy little sofas to put in kitchens now that just say 'you're welcome'," Ms Kaushal added. Wood-engineered floors are very suitable in kitchens, if you're thinking of revamping the existing floor covering there. Oiled Oak in many widths and colours, starting from 10mm thick boards who still have a 3mm Solid top layer, making this extremely good value for money. The image in this post shows the 10/3 American Oak, Brushed & White-washed & Oiled natural (Buffalo). During this month, Wood You Like is offering a Spring Offer on 115 Wood-Engineered floors, all 10/3 floors among them. It's the month of Spring, and to celebrate the warmer and lighter days to come Wood You Like has reduced 110 different wooden floors, in 7 different style ranges, from popular to unique finishes. All those 110, plus the 5 Grigio authentic Italian oil pigments load-bearing aged floors, this month - and this month only! - yours with 4% discount on the normal price. All 115 floors have their specific characteristics, giving you the widest possible options in high quality Oak wood-engineered pre-oiled floors ever available. (We sneaked in a few American Oak, Walnut, Ash, Maple and Larch too). No matter if you are looking for the most straight forward Oak Rustic natural oiled or the most luxurious finishes like Dazzling Gold or Smashing Silver, we can guarantee you will find your floor amongst the 115 this month. See below how we can be so sure. Always wanted a New Classic Basketweave, or Hand-scraped smoked and white oiled floor? Now is the time to call us on 01233 713725 and purchase it for the discounted price. We'll discuss the most suitable underlayment and accessories with you there and then too. Delivery in Kent is free (Kent/Sussex and Kent/Surrey borders too) and if you use your debit card or BAC's transfer you will receive a further discount of 2.5% on the amount payable. Can't see the trees for the woods? Wouldn't know where to start browsing the 115 floors to find The Floor for you? Follow the easy steps in our unique Select Your Floor tour, guaranteed to find the most adorable one for you. The use of hardwood flooring is set to be a big trend in interior design during 2011, according to one expert. Stefan Zachary, founder of Buckinghamshire-based Zachary Design, explained that one of the biggest trends for homes this year is going to be the use of wooden floors. He stated that because of this, carpet is going to be at a minimum due to the increased demand for high-quality wooden finishes. In general, he said homeowners are now looking for a good standard of products to use in their properties. "With the quality of fittings in the house in kitchens and bathrooms, people's aspirations for those parts of the building are now much higher. That extends into bedrooms," Mr Zachary added. Using a rich palette of colours in the home was recently advised by designer Hannah Barnes, who said copper shades work well with deep blues. Inspired by precious metals, the Silver & Gold wood-engineered range contains 3 Silver, 3 Brass/Copper and 2 Gold oiled finished Oak boards. The picture shows the "Antique Bronze" finish on the 15/4 (15 mm total thickness with a 4mm Solid Oak top layer) x 189 x 1830mm boards. You can find more details and images of the other "precious metal" finished floors here - and more. How's that for luxurious hardwood flooring? Rich colour palettes have been recommended to people looking to carry out big home refurbishments. According to Hannah Barnes of Hannah Barnes Designs, hues such as teal and aubergine are set to be a popular trend for the coming months, so homeowners may be tempted to use them on the walls. "Copper shades will help to change it up in cushions, accessories and lighting, contrasting with the deep hues of purples and blues," she said. The interior design expert added that metallic accessories are also set to be used a lot to break up blocks of colour in a home this year. Ms Barnes explained that "rich walnuts" and "rustic textures" are also likely to be utilised by people wishing to have a stylish property in 2011. From Silver and Gold, Black and White to Earth and Fire, unique wood-engineered floor ranges - now available right here. 15/4 T&G boards (15mm with a 4mm Solid top layer) of high quality, examples can be seen here (where you can also request the complete Full Colour Online Wooden Floor Range Brochures and browse all unique floor at your leisure at home). Add rich and bold colours to your home in a simple way, the real wooden floor will last a life-time. Call us now on 01233 - 713725 to discuss lead times and prices. People who are planning to carry out renovation work on their property may be considering trying out underfloor heating. Installing heating under floors and real wooden floors is currently very popular among homeowners, according to a spokesman from QEP Vitrex. He explained that one of the most attractive things about having the flooring in the home is that it has a large "comfort factor" as no-one likes having cold feet. It is also good for people who plan on selling their properties, as "it is seen as a positive factor in the housing market and it is a positive feature in the house," the expert added. The current lull in the housing market makes the present time ideal for carrying out renovation work, in the view of Joe McLoughlin, director of OurProperty.co.uk. 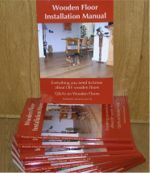 When installing UFH and wooden floors, you have to be aware of certain issues: solid floorboards are a no no, wood-engineered floors are much stabler and suitable for this. The only solid wood floor you can install safely on UFH is (design) parquet 10mm. Always follow the UFH manufacturers guide-lines. Start-up procedures should be followed before, during and after the installation of your wooden floor, you can request these steps here. In our showroom you will find the widest selection of UFH suitable wooden floors, give us a call now on 01233 - 713725 to discuss your options. Each piece is totally individual, each piece totally unique. If it could tell a story it would be one of extreme hardship as trees stand their testament of time in all weathers. And we must not take their splendor for granted, like most things on the planet men is using this natural resource at an alarming rate and I think we all need to step back and think of the enormous diversity of this fantastic natural resource. Once introduced into the home, whether in natural flooring or furniture it somehow seems to naturally lift your spirits with its simplicity and its natural beauty. When buying timber please make sure that it is a legal source from fully managed and sustainable sources. Picture of a 500 years old Oak tree, it fell as an acorn when Henry VIII was king and stood the test of time through every major conflict and event up until 8 years ago when it fell down during a storm. At Unique Wild Wood Furniture, Sharon and her partner use timber sourced from properly managed outlets so no piece is illegally felled for their goal to make bespoke furniture for you. 90% of their work is handcrafted bespoke design coffee tables, truly unique and are made from solid wood. They are more than happy to accommodate any request to design a coffee table,dining table ,or to help you with a project you have in mind. At Wood You Like, all natural wooden floors come from sustainable sources, we fully agree with Sharon's argument. The current lull in the property market makes it the ideal time to consider carrying out home renovations, according to one expert. Joe McLoughlin, director of OurProperty.co.uk, explained that as banks are still reluctant to hand out big mortgage loans, some people may find it preferable to work on their current properties instead. He stated that this could actually be beneficial to their properties in the long term, as some refurbishment jobs are likely to boost the value of the building. It’s not the large projects like extensions or expensive kitchens that add the most value – in fact, estate agents in a recent survey said, often these tend to lose money - as much as 50% on their cost! No, what does increases value has more to do with adding ‘lifestyle’ features that provide the greatest return when it comes to valuing a house. Why? Because most people envy, and like to buy into, those signals of ‘success’ so effortlessly portrayed by lifestyle ‘visuals’. Features, such as wooden flooring - which is light and hygienic, provides a sense of space and elegance, wonderfully easy to keep clean and dust free, and exceptionally robust and long lasting – can make a huge difference to the value of your home. A new wood floor is proven to add more value to your home than any other flooring option, including tile or wall-to-wall carpeting. And unlike other options, wooden floors not only maintain their value over the years, but effectively retain and improve their elegance and their beauty. And even in those rare cases they do begin to show any wear, they don't need to be replaced - wood flooring can be repaired without losing its value, or elegance, for a fraction of the cost of replacing other types of flooring. It's no wonder therefore that 'natural wooden flooring’ appears so often in the advertisements of property developers, furniture retailers, and your estate agent – they are simply magnificent, and enhance any room, whatever the furnishing, and whether it’s a simple home or your beloved ‘palace’. Call us on 01233 - 713725 now to discuss your options in adding simply lifestyle features to your home with one of our natural wooden floor types. Or drop by in our Charing (Kent) showroom where you can discuss all matters face to face with the professionals. The world is a funny place! Every evening we hear the weatherman/woman warning about a touch of frost on the ground and a possible new cold snap. And in the Southern Hemisphere people are returning from their Summer breaks! Last Monday (17.01.11) workers returned from their well-earned summer break to our manufacturer's own FSC forest and saw-mill in Bolivia and their production unit in Paraguay. Which means that in a few weeks time many new pallets with quality wooden flooring (Chaco Wood) will cross the Atlantic Ocean and fill the Dutch warehouse. In order to make sufficient space for the new arrivals all remaining part pallets (small batches, larger batches and for some products just a few boxes) have to be cleared out. Which means: a Tropical Summer Fest for you! Tropical solid and wood-engineered floors hefty reduced in price (but: gone is gone!). From 20mm original Duoplank Chaco Wood to 6mm "tapis" (thin wood blocks/strips used for parquet floors) and everything in between, now with upto 22% discount! Species available range from Tarara Colorada (see image) to the popular Lapacho/Tajibo. It would go too far to list all products in the Tropical Summer Fest promotion here, so we've created a downloadable PDF for you which includes all the details: species, floor-type, finish, measurements and of course the reduced price. Every single item will show if there is "very limited stock" (less than 30 sq m), "limited stock" (less than 60 sq m) or not. Our manufacturer is very clear in this: the spectacular promotion is only valid until the existing stock is gone, so you'll have put your skates on (excuse the Winter pun) if you want to benefit from the Tropical Summer Fest. Gone is absolutely gone! Follow this link to view all the details of this (one-off) Tropical Summer Fest now. Select the floor you like most, give us a call on 01233 - 713725 immediately and we will contact our manufacturer to check the stock situation the very minute! PS - among the pallets that need clearing from the warehouse some other (none tropical or none FSC) species were found and are now also on offer. You'll find them at the end of the Tropical Summer Fest detail list. Wood - what's not to like! First - short - presentation has been made from some of the entries for the "Wood - what's not to like!" campaign. We'd love to have your opinion too - just submit it on our special page. If you enter it before Sunday 16 January you can "win" a little prize (think bubbles). View more presentations from Karin H. Hermans.